When the accident was not your fault, you need things sorted out as quickly as possible. Where the accident results in personal injury, the trauma is even greater- you are in pain, you have doctor and hospital appointments, you are worried about your prognosis, you are worried about getting back to work, you are worried about money. We understand this-our job is to see if the losses you incurred can be recovered from the person or persons who caused the accident. 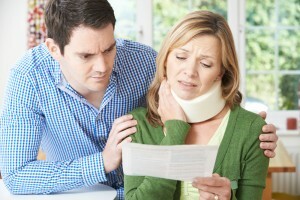 We will help you work out your losses and pursue the person or persons responsible. We will deal with the Insurance Companies, process your claim through the Personal Injuries Assessment Board and pursue the matter further before the Courts as necessary. We have successfully represented clients across a broad range of accidents-road traffic, work, occupiers liability, products liability. We believe in straight talking-if we feel you are unlikely to succeed or that there are serious issues of concern, we will tell you. You are assured of our technical expertise and our uncompromising commitment to achieve the very best result on your behalf. People disagree-in business matters, in private arrangements, things don’t always go according to plan. Sometimes the problem is the fact that there was no plan. Sometimes the detail of the plan is open to interpretation. Sometimes someone wants to change the plan. Disputes arise in countless ways, in countless situations. They result in delays, inefficiencies, bad feeling, frustration and financial loss. The longer they go unsolved, the greater the loss, the more compounded the difficulties. You need objective, measured and sensible advice to help achieve a timely, problem specific and cost effective solution. Not every dispute needs to end in Court- we can advise on alternate dispute resolution mechanisms- arbitration,mediation,conciliation.